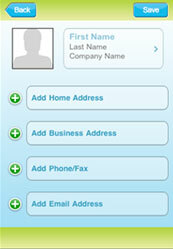 Application provide facility to synchronize personal phone book to online server. 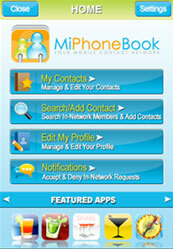 So if user lost the old phone then they will get contact data from online server again to the new phone. 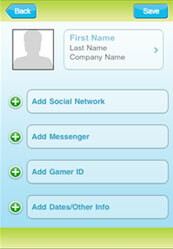 User can set their contacts to another registered users directly phone application. 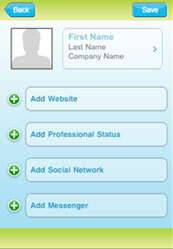 User can add, edit and delete the contacts from application.